Sims 2 simmies are very autonomous. Amélie’s first action after loading the lot was “catch butterflies”. Look how happy she is! …and sad. She kept trying but did not succeed. There’s one RIGHT THERE, babe! GET IT! And then she failed even more: BEES! She said hello to everyone that passed by her lot. The first guy she met didn’t like her that way but they became fast friends. However, she was attracted to this guy, Neil. They decided to play catch. He kept hitting her in the face. She kept hitting him in the balls. WHOOPS. In addition to her little lot you saw above, I cheated and bought her a lemon tree. 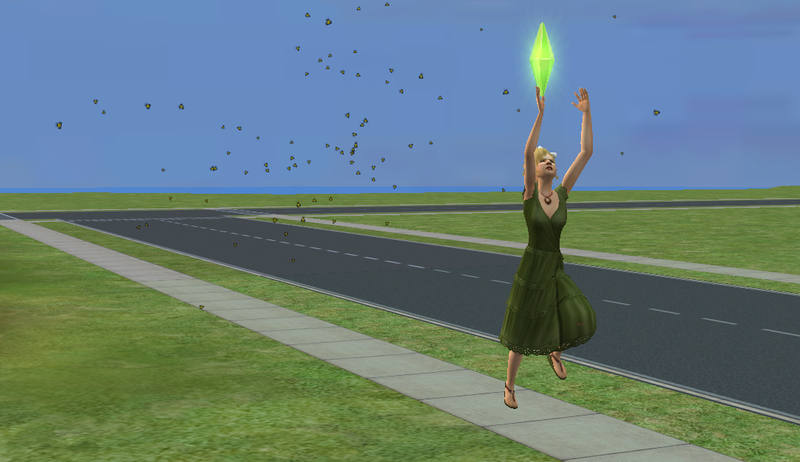 The rules for a sims 2 legacy offer options for gameplay and one was to have a fruit bearing tree that you kept for the duration of the legacy. We’ll see how it goes! This next guy she met had flirty hearts all around him when he met Amélie. His name was Craig Ray. She had flirty hearts for him, too, as well as TWO lightning bolts of attraction. That’s love at first sight, don’t you think? His style isn’t the greatest but he’s fallen for her. Amélie needs that kind of stability for her legacy. He was over at her place most of the time. While she napped or showered he helped himself to her magazines. Amélie was getting tired pretty often and I couldn’t get her rested. It was getting frustrating. She even fell asleep in her vegetable soup. Craig had slept over a few times now (wink wink) and nothing really seemed to faze him. Craig seemed to be in this for the long haul so the two got married and he moved in. They used his funds (15K!) to build themselves a cute little studio-style house. They bought some kid and dog toys for the future and settled in. 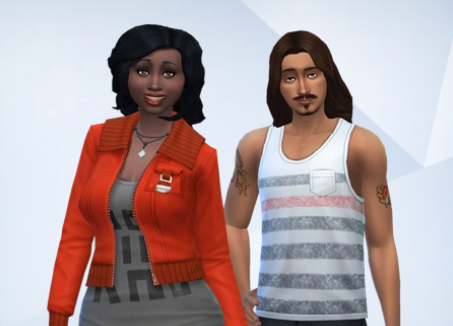 ← The Beaumont Legacy: Sims 2! Awwww such a cute house! 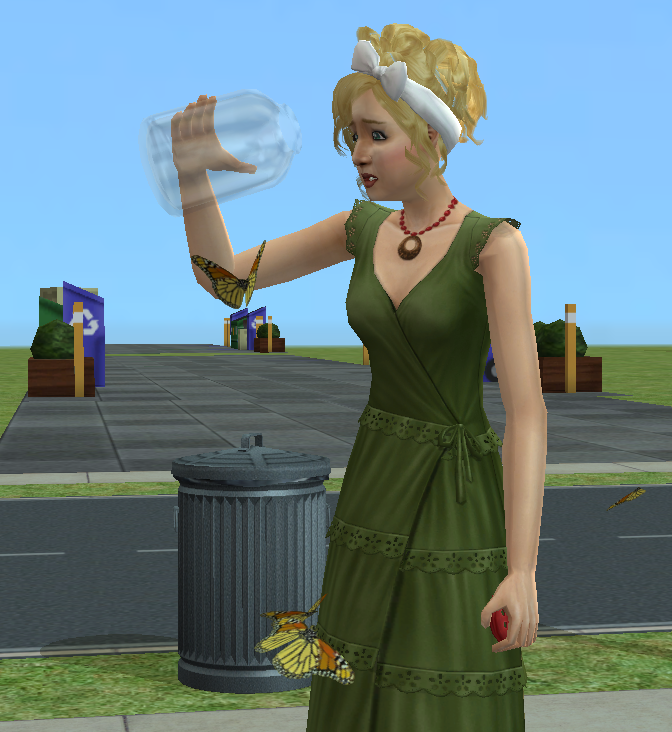 Oh wow this makes me miss TS2! I miss the astrological signs and the attraction system SO MUCH. This game… I played once I got home from rehearsal (9 PM) until midnight when the game crashed on me, LOL. Thankfully I had just saved. It’s an actual addiction. Now I have to play too XD like right now! Where can I find the legacy rules for ts2? I just googled it – they’re a lot scarier. I’m not really gonna follow them too closely, honestly. Yes it was. Have you try run your own store? I used to! OFB and Univ were the only expansions I had when I first had the game. I really enjoyed it. Also, I love how you built their house! Very cosy and sweet with all those flowers. Hoping for plenty of butterflies to come to those flowers for Amelie’s sake! 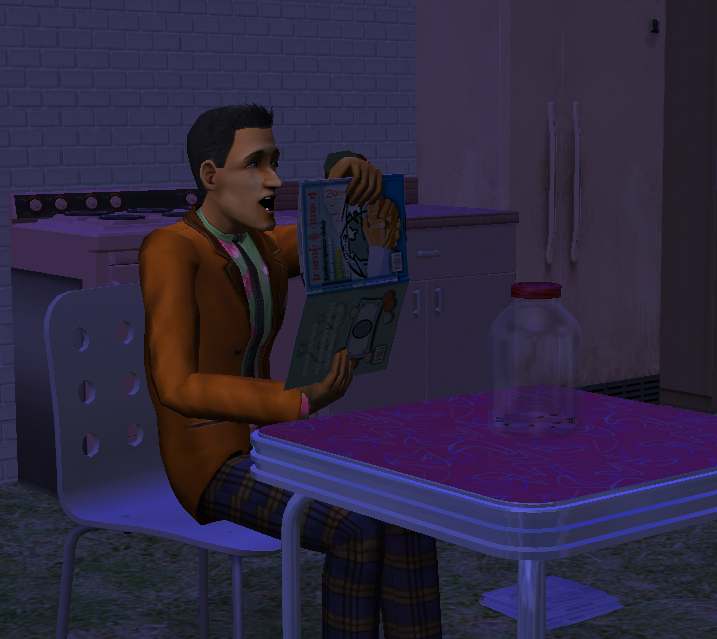 Great Sims 2 story, Congrats on Amelie finding her true love so fast. My Sims 2 Sims like to bird watch when they first move to their new home. I think it’s funny when they fall asleep in their food. I love that, too! I also love that they read while they walk!